Join me weekly for strategy and tips for connecting with your kids! If you are a parent and want to stop the arguing and feel more loving, join me in this group coaching circle. I will share what has worked for me and my son and show you how it can work for you. We will be talking about the importance of healthy food, as a source of nourishment and healing, how when we eat better, we feel better, act better, and connect better. 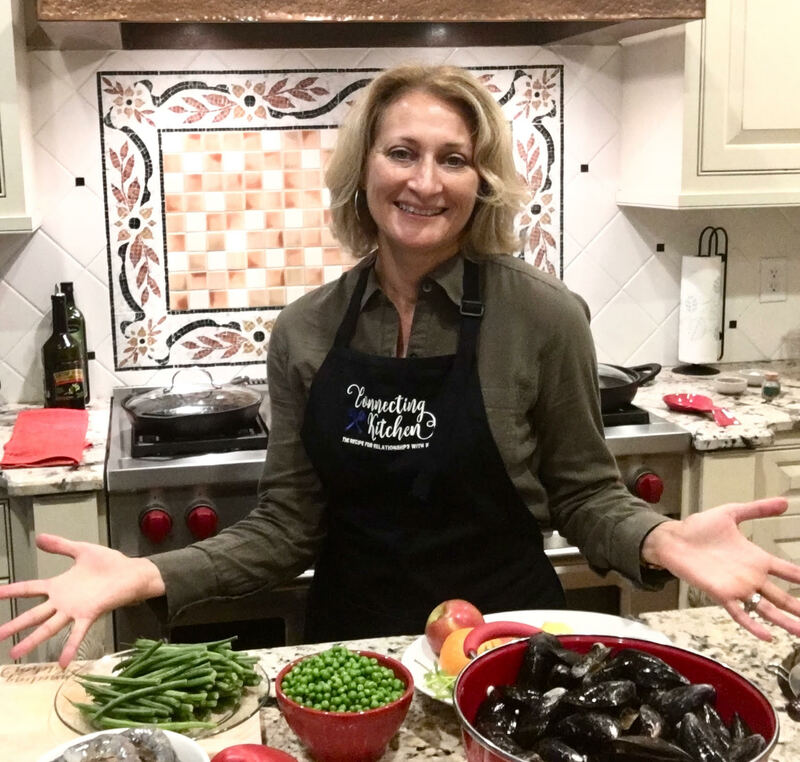 You will see that cooking and sharing time together, gives you the tools you need to grow your relationship and bring calm and peace to your home. We’d love for you to join us! 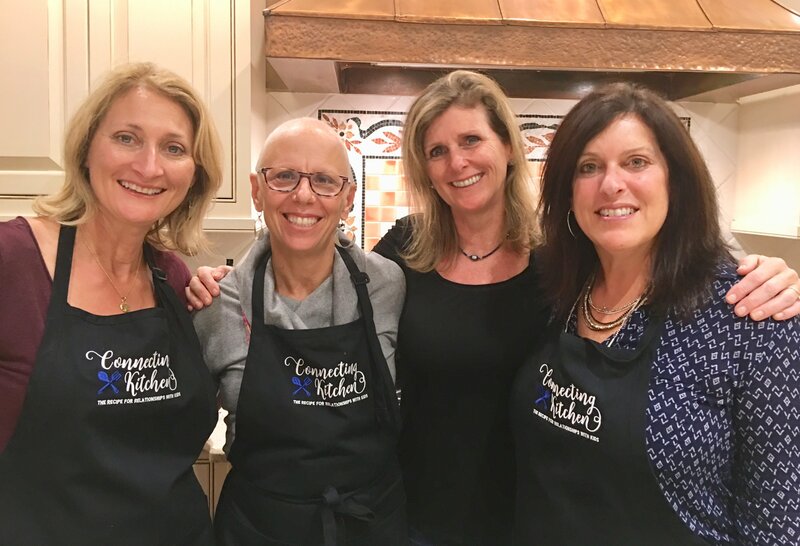 We love to bring people together and show them that cooking is not only fun and a great way to connect, but essential for a healthy lifestyle. We are always whipping up something delicious in the Connecting Kitchen. Take a look at our upcoming classes. 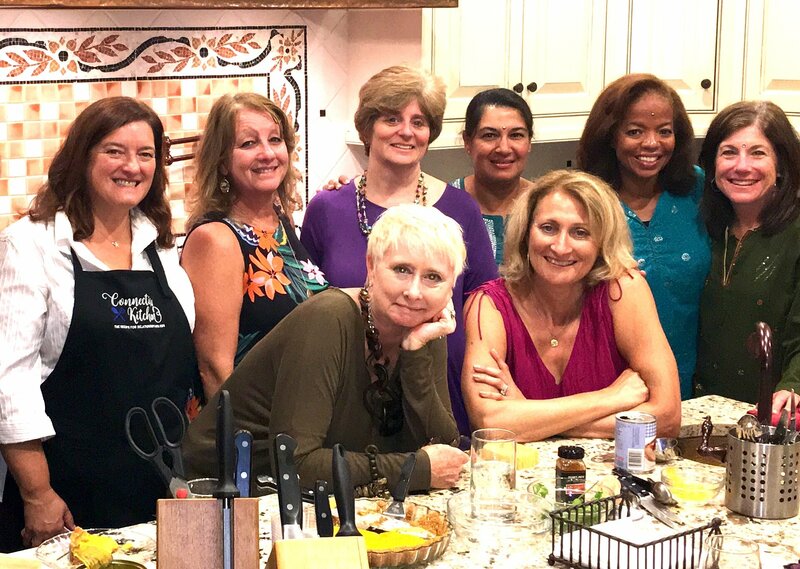 Cooking together is the perfect recipe for building a better team! 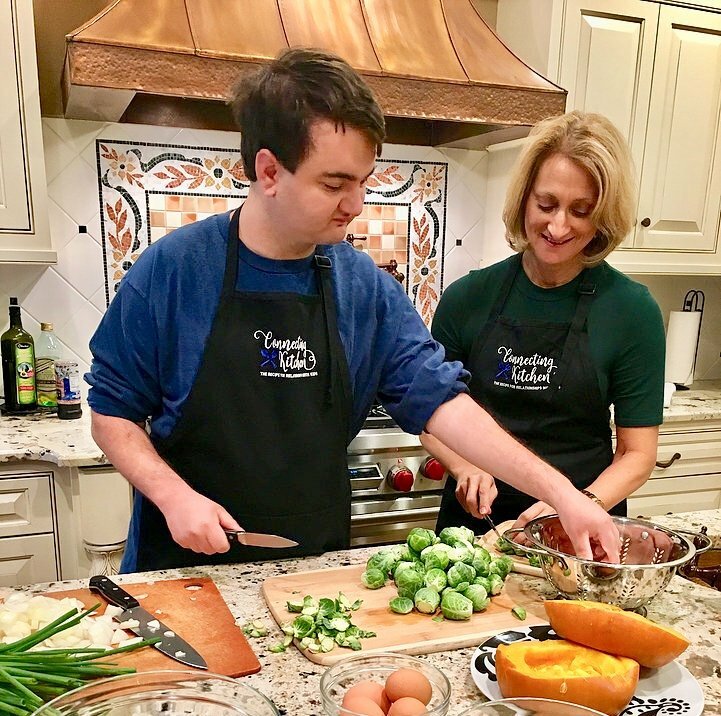 The Connecting Kitchen brings everyone together where team members (co-workers, family members, or friends) will laugh and learn and work together. Cooperation, respect, creativity, and a focus on a common goal build comraderie and strengthen relationships, creating bonds that will last long after you leave our kitchen. As your coach, I will help you identify the areas in your life that are going well and put together a plan to address what’s not working so well. Together we will explore what is going on with you! I will work with you to create a healthier diet, lifestyle, and mindset. By making small changes each week, step by step, you will gradually create the habits and the path to a vibrant and healthy life!